Have you gazed at your child’s Stokke Tripp Trapp and mused that it looks like a work of art? Well, you’re not the only one. New York’s Museum of Modern Art has a brilliant exhibition on display until November 5, which explores children’s design from 1900 to 2000. 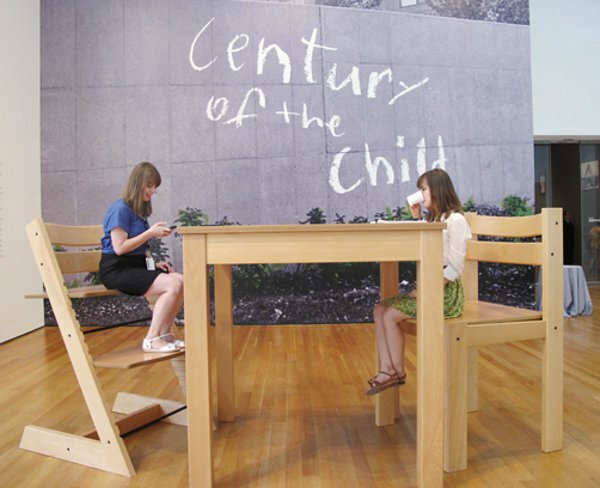 The centrepiece of the Century Of The Child: Growing By Design exhibition is a giant Stokke Tripp Trapp. It fits perfectly with Stokke’s description of the Tripp Trapp chair as a modern classic. The maxi chair aims to give adults a three-year-old’s perspective (and who wouldn’t want that?). The premise behind the Tripp Trapp has always been to put children at the same height as adults, to allow maximum interaction. This exhibition piece takes the theory to a whole new (very high) level. If you happen to be in the Big Apple over the next couple of months, drop into the MoMA, and take a wander through this stunning exhibition.